Getting past the home inspection typically signals the end of negotiating the sale of your home. There’s not a whole lot happening on the seller’s side between here and the closing table. Passing the home inspection means the hard part of selling is over and you get to move on to your new home. Once you’ve accepted an offer and opened escrow, your buyer will typically hire a home inspector to check out your house. Most offers are made with a home inspection contingency in place, meaning that the buyer can back out of the transaction if the inspector finds any problems. The Inspector will meticulously investigate your property looking for flaws and potential problems. The buyer and buyer’s agent will then make a list of repair requests. Your agent will help you go through the list and determine how you would like to respond to each request. You may decide to make the requested repairs, you may decide to make some of them, or you may decide you won’t make any repairs at all. You may even consider giving the buyer a monetary credit through closing in lieu of making repairs. Just keep in mind that the buyer still has the right to walk away from the transaction if they are no longer happy with the house. The home inspection isn’t a big problem in most transactions. There are certain kinds of repairs that you will most likely need to make in order to sell your house, and your agent can advise you on what those are before you ever get to the inspection. However, if you have done a good job maintaining your home while you owned it, the home inspector’s findings will most likely be minimal. Also, keep in mind that when you list your home you are required by law to disclose any known material defects. A “material defect” is anything that can significantly affect the home’s value or the safety of the occupants. Things like foundation issues, roof leaks, and termite or mold infestations. 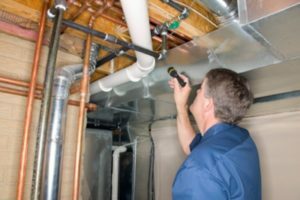 Depending on the sales contract, the purchase may also be contingent on additional inspections that the inspector can do if they are equipped/licensed for those as well. What a home inspection won’t cover is the unseen. Your inspector can only inspect what they can see. The inspector is not going to open up walls or dig up drain lines. Structural defects – This is any physical damage to the load-bearing elements of a home; these issues include a crack in the foundation, roof framing damage, and decaying floor boards. Health & Safety issues – Homes for sale have to meet certain safety standards. Depending on where you live, safety issues that you, the seller, may have to address could include mold problems, wildlife infestation, or exposed electrical wiring. Building code violations – Building code violations — such as the absence of smoke detectors, use of non-flame retardant roofing material, and use of lead paint after 1978 — must be addressed by the seller. Again, you don’t need to make all of these repairs, you could offer a credit to the buyer instead… which in the case of structural issues could be substantial. Many sellers decide to get a home inspection done before they list their home. This is called a “pre-listing home inspection” and can provide the seller many advantages. It can give you time to fix deal breakers – Yes, home inspections cost money, but the cost isn’t enormous. A typical home inspection runs around $300-$500. That said, it can let you know ahead of time if you have any major issues that could cause a buyer to cancel your transaction. Big problems may include mold, water damage, or foundation cracks. It can mean fewer surprises — Knowing what problems, large or small, you have beforehand will allow you to address them with buyers upfront. You can get a head start on negotiations by making sure that buyers know that your current list price reflects all of the known issues in the pre-listing inspection. It can speed up the negotiation process – Because buyers will already know what is likely to show up on their own inspection, you can make sure all offers are being made “As-Is.” This will help eliminate a lot of the back and fourth negotiations that usually follow a home inspection. Your agent will haggle with the buyer’s agent on your behalf, although it is ultimately your decision as to what repairs/credits you will or will not agree to. Here are 4 tactics your agent might use to protect your interests, without reducing the sale price. Agree to make reasonable repairs – Unless your house is flawless (No house is flawless), you should expect a repair requests from the buyer. You don’t need to fix everything, but you should take responsibility for major issues. Offer a closing cost credit – If you don’t want to deal with making and overseeing the repairs yourself, ask your agent to offer a closing cost credit to the buyer instead. This also prevents the complaints from the buyer about workmanship as you will not be the one overseeing repairs. Barter – You could offer to leave something behind that the buyer might want instead of agreeing to requested repairs. For example, perhaps the buyer likes some of the furniture, or your refrigerator… You could offer to leave these items behind rather than fixing a bunch of minor issues. 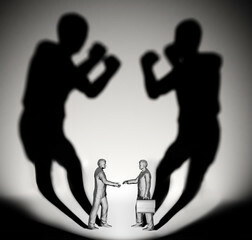 Leverage the market – You may have more negotiating leverage than the buyer depending on your local market conditions. For example, if you have multiple offers you could present the request for repairs to one of your backup offers and ask if they would be willing to forgo these repairs should you move forward with them. Then, simply let your current buyer know what the other has agreed to and that you will not agree to make any of the repairs. The home inspection process may sound like a chore, but just keep your eye on the ball. Once you get past this point, the negotiations are over. The only left to do is complete any repairs you’ve agreed to and hand over the keys on closing day. Posted in Real Estate, selling and tagged buyer request for repairs, buyer requesting repairs, dealing with home inspections as a seller, do i need to fix things on a home inspection, do i need to make repairs for buyer, home inspection, how much does a home inspection cost, how to negotiate after a home inspection, pre-listing home inspection, request for repairs, seller home inspection, seller's guide to home inspections.